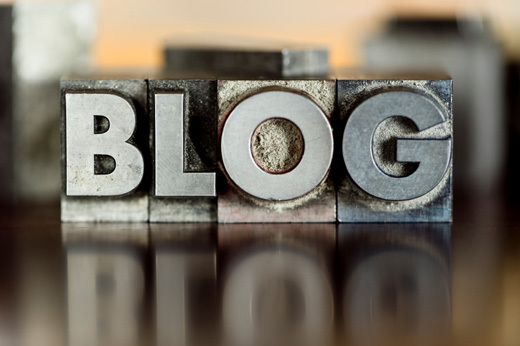 There are various ways to use to come up with a blog that surely creates more followers. One of these is writing quality content. King content is a sure way of attracting visitors and to make people really involved. Sadly, instead of seeing good results for having quality content, oftentimes the engagement of visitors tends to decrease. Why? Because many still don’t understand the strategic way of handling their content to get more followers. So, I’m giving you valuable tricks to help you out and overcome your difficulties. 1. Use trendy topics in interacting. Great topics will create more visibility and popularity for your entire website. Trendy topics and content will go a long way. They dominate conversations everywhere, so use them for your blog. And with these trendy topics, you can start interacting with visitors leading them into interesting discussions. However, one caution to consider is to write with risk avoidance, especially on serious controversial topics. You don’t know all your visitors and if you don’t care enough, they’ll get a wrong idea about you. In case you don’t like contentious topics, simply write a blog about trends that are less controversial but still helpful for your content. 2. Spend time reading daily comments. This is the best thing to do to be able to interact. Don’t take for granted those regular comments of your visitors. Have a daily routine of checking out those comments from your website. You can try Disqus as your comment tool, or use comment moderation in order not to skip a single note. People’s comments give way for you to interact and respond accordingly. Regardless of the tools you have at hand, comment moderation is the most effective way of reading all comments. Furthermore, it filters the type of comments left by your visitors. 3. Listen to what they say. By listening alone, you’re getting different ideas about what to write next. If you run out of content ideas for your post, then your visitors can recommend. You don’t realize it but their questions will give you topics that can contain much information. Both your visitor’s comments and questions can help you create another post that is interesting to read. They’ll be more than happy to suggest something valuable for them, for others and for your site. Consequently, it’s a great opportunity for you to do an in-depth research about something worth reading. 4. Don’t wait too long to respond. It pays to respond if you do it as quickly as you can. Along with your response is your chance to ask some questions. Avoid ignoring visitor’s comments even the simplest ones. More comments are sure to come as long as visitors can reach you and feel you have genuine interest in helping them. After all, responding is the perfect time to get engaged. Response like “thank you” is very common and will not reap good rewards. On the other hand, addressing the concern of your reader and asking some suggestions will excellently promote conversation. Emailing is a good option, too, in case they want to discuss things privately. Ask them: “What makes you happy about this blog?” and “What other topics you want to find from this site?” Their response will create new ideas of assisting them about the information they’re looking for. 5. Share your blog while mentioning your readers. By doing this, you are also encouraging your visitors to share your content. If you find someone who regularly interacts with you, why not encourage him to share your blog to other social media? Mentioning them will uplift their spirits and it’s a sincere approach to get your blog shared to others. Keep in mind that there’s more gain when you address your visitors individually than by doing it in group. There’s a significant feeling that a person is receiving friendly treatment from you. If you have few individuals who can happily follow your blog, most likely they want also to share your post immediately. 6. Remove spam remarks with comment moderation. As stated earlier, it’s always helpful to use comment moderation. Why? Because it allows you to see all comments without forgetting or overlooking one. Furthermore, it’s a great way to spot spams and take out of them right away. Many people can take advantage of your content by leaving spam comments. Spams can affect your entire site and turn it unpleasant especially for first-time readers. Even worse, your online status is affected negatively by lowering your rank or losing it. Avoid your blog to get spammed by junk comments; after all, those who do these don’t care enough for your site. 7. Always encourage readers to leave comments. At the end of your content, it’s good to ask readers to leave some remarks. Lead them to sharing their thoughts by commenting about what is contained in your post. It’s better if you make your encouragement more personal to the ones reading your blog. On your part, you have to comment back with positive words so it can result to a happier interactive conversation. Offer open-ended questions to keep the discussion longer and more motivating. Once you’ve seen success in interacting with your visitors, your content, social media and ultimately your profits will improve. An incredible increase of traffic may even amaze you in no time. Increasing number of satisfied visitors will talk about your content and share it to others. Always remember that quality content is not enough, interaction chain should be present all the time. If you can do it, soon more customers will follow your blog and make you reap the rewards of your hard work.